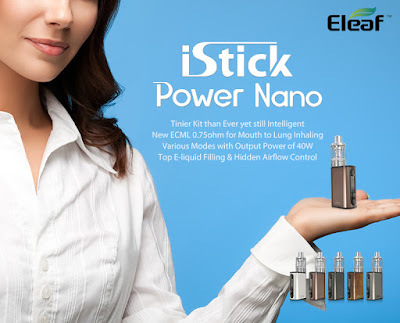 What You'll Think When You See The iStick Power Nano Kit ? Home / Eleaf / Eleaf iStick Power Nano / Eleaf iStick Power Nano Kit / Eleaf Melo 3 / Melo 3 Nano Atomizer / What You'll Think When You See The iStick Power Nano Kit ? When you see pictures of the Eleaf iStick Power Nano next to a Melo 3 Nano, you can only reach one of two conclusions: either the Melo 3 is very tall or the iStick Power is a compact mod indeed. The second answer would be correct: Eleaf's Melo 3 Nano actually measures a millimeter or two less than the Power Nano, including threads and the drip tip, for a total height of under 110 mm. Like The Eleaf ICare Mini PCC Kit ?